There’s this feeling of insecurity that each one of us feel now a day when we go online. Due to the increase, in cyber-attack, online safety has become a real issue of concern. Attacker are becoming smarter their attacks are sophisticated making it hard to identify and tackle. Thus, creating a sense of insecurity among masses. Each time we go online a feeling insecurity rushes through our blood. To handle this paranoia something must be done. We all have been hearing a lot about blockchain technology and the way it is used in different industry. Majorly we relate it with Bitcoin and other cryptocurrencies. Blockchain is a large decentralized, democratic, distributed network used all over the world. As it is a distributed network it is secure and cannot be attacked by hackers. Blockchain and cybersecurity have an integral connection. Blockchain is the result of years of research, innovation in cryptography and security technology. It is an altogether different method of storing information, making transaction, establishing trust, suitable for all environments. This makes blockchain withstand cyber-attacks for more than 8 years. Looking at all this we can expect blockchain to bring changes in the security system. Also, Ethereum’s smart contracts are creating a secondary market that will benefit users from sharing resources back to the network. Technology is ever changing, it advances with time. Smart contracts are the latest example that shows how users can automatically execute and share codes. Distributed ledgers, peer-to-peer activities are already used in blockchain and soon the same concept will revolutionize cyber security industry. Blockchain users can store data on the network on their computer benefitting them financially as they can rent the extra storage space and they ensure that the chain will not collapse. Say for example, if anyone without being owner of the data tries to tamper with the block it will be identified by the system. As every single block of data is analyzed by the complete system and if a different block is identified it is excluded from the chain thus making it more secure. Being decentralized is the biggest advantage of blockchain technology. As every user on the network has their own part to play. They need to verify the stored data and make sure that neither false data is added nor existing data can be deleted. 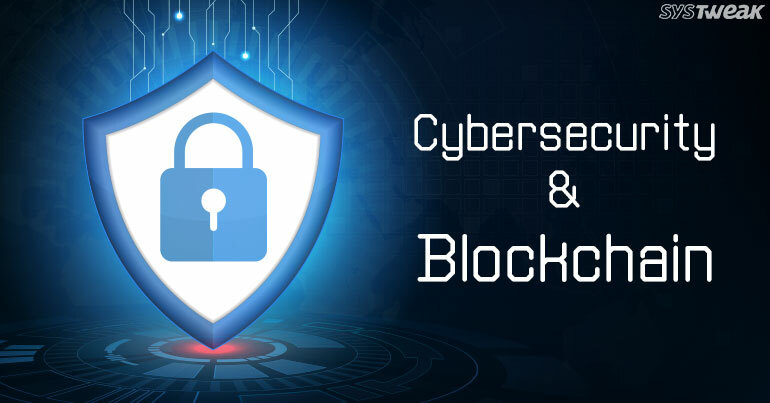 Blockchain technology provides some of the best tools that helps to protect data and prevent data fraud thus decreasing the chances of data being compromised. If a hacker wants to destroy or corrupt data stored on a block he will have to destroy all the systems on network as there is no centralized place where data is stores. Destroying systems across the world is almost an impossible task. What a hacker can do is, he can bring down an entire network but it will not stop other systems from working, they will keep on recording and verifying data. Bigger the blockchain lesser are the chances of attack. Penetrating such a complex network is impossible. Thus, making blockchain technology the most secure platform to store and share data discovered so far. Guardtime data security startup has been around since 2007 and has gained popularity as it keeps data safe by using blockchain technology. Founded by Estonian cryptographer Ahto Buldas, it uses blockchain to create Keyless Signature Infrastructure (KSI). Meaning data is distributed to the nodes throughout the network and if someone tries to alter the data, system identifies it and the unmatched data is excluded from the chain. Thus, making the data secure as the only way to make alterations to the data is by deleting each node. If a single node is left with the correct data the complete system can be restored. REMME is another example of how blockchain technology provides security. REMME’s blockchain makes passwords obsolete. The process eliminates human interventions from the authentication process therefore preventing the attack route. REMME distributes public key infrastructure to authentic users and devices thus eliminating passwords and giving each device a specific SSL certificate. This certificate is managed on the blockchain, making it impossible for the hacker to use fake certificates. DDoS attack are devastating, hackers use various techniques to initiate an attack. They send junk requests to the website to increase traffic and make website nonfunctional due to overload request. They are increasing rapidly it seems there is no way to stop them. As there is no alternate of the current Domain Name System (DNS). DNS can be referred to as a phone book that maps IP address to the domain name it is decentralized but only partially. Making it vulnerable to the attacks as attackers target the centralized part of DNS to instigate an attack. How blockchain can help in this? Once blockchain technology is implemented it will completely decentralized DNS, after which the content will be distributed on large number of nodes. Thus, makes it almost impossible for the attackers to attack. Domain editing rights will be provided only to domain owners, ensuring that no one other than the owner can make any changes, significantly reducing the risk of data attack. Some companies have already started implementing blockchain in this area to prevent DDoS attack. For example, Blockstack provides a complete decentralized option for DNS. Maidsafe a UK based company is also working on the same concept. They are also trying to decentralize the web and create something where user get a secure environment to run apps, store data and perform other tasks. As more and more people are joining the web, more ways of stealing and corrupting data are developed. So, to be safe, we have to be ahead of them and at present blockchain looks to be a perfect solution. Blockchain is a versatile technology that will prove to useful to protect future of Internet. Blockchain is already doing wonders in other fields and can prove beneficial in boosting cybersecurity.